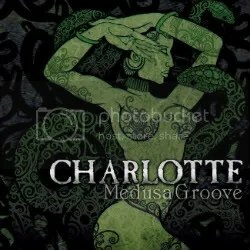 Charlotte brings a credible blues-based influence to the typical hair metal fare that you might hear coming from the Eonian reissue label. They were formed in Los Angeles in 1986 but like many ’80s rock bands that didn’t “make it” they folded in the face of grunge during the early ’90s. They cite Great White, Led Zeppelin and Guns N’ Roses as influences and those influences are apparent from the album’s opener “Medusa Groove”. Vocalist Eric Ganz sounds just a bit like Axl at times and comes across as similar to Jack White (or is that Robert Plant?) too. They don’t have the ferocity or sleaziness of GNR but they share a more down-to-earth sound with them that many bands in the late ’80s lacked. The more I listen to this album, the more I think of Great White. It’s hard rock but it’s laid back and not overly aggressive with pounding drums, screeching vocals or super-fast solos. The songs are allowed to develop at their own pace. I can’t help but imagine some of these songs in a smoky biker bar setting. Maybe on a soundtrack for Road House! According to the liner notes, the band was on their way to success in the L.A. music scene as they played at legendary venues like the Whisky, Roxy and Troubadour and opened for Paul Stanley, Vixen, XYZ and EZO. Sadly, despite flirtations with Arista Records, Giant Records and Mercury Records a label contract never came about. I’m sure the changing of the musical climate had something to do with that. If that was the case, I totally agree with the labels — had they signed Charlotte, they would’ve flopped but that doesn’t mean they wouldn’t have created and hadn’t already created some good music. Medusa Groove is a collection of solid hard rock recorded from 1988-1992 and (according to album credits) 2009. I think “Roadhouse of Love” is the sole recent track and if it is, it proves the band still has it and Eric Ganz’s voice is strong as ever. The album is well worth a listen for any those that like the darker bluesier side of hair metal (yes, that side of hair metal exists). Hopefully the band is planning some new material because “Roadhouse of Love” fits rest in with the rest of this album.